Every home that we build is certified Green. 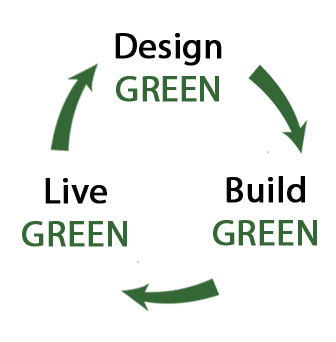 We do this as a base standard because we believe in the importance of giving our clients green homes to live in. It’s been proven that not only do green homes sell faster, and for more money (than non-green homes), but also that people who live in green homes are happier, healthier, and more productive. Let us show you how! Improving the quality of indoor air is vital for human health. The USEPA names source control as the best strategy to reduce indoor air pollution and limit chemical exposure. Source control can include selecting products that have been GREENGUARD Certified for low chemical emissions. These products have been tested for more than 10,000 chemicals to ensure they are safe and healthy for indoor environments. Certified products are listed in the free GREENGUARD Product GuideSM. For more information on how to combat indoor air pollution, please access Tips to Improve IAQ.